The Denver Zoo was closed Thursday due to extreme cold, but the deep freeze wasn't enough to damper the Zoo's ground-breaking ceremony on its new state-of-the-art animal hospital. DENVER -- The Denver Zoo was closed Thursday due to extreme cold, but the deep freeze wasn't enough to damper the Zoo's ground-breaking ceremony on its new state-of-the-art animal hospital. "We're very proud of what we do," said Dr. Scott Larsen, vice president of veterinary medicine at the Denver Zoo. The Denver Zoo began tearing down the old animal hospital Thursday, bulldozing the way for a new $20 million, 22,000-square foot hospital that will be one of the finest on-site zoo hospitals in the world. "The facility is designed so that we can work on anything from our tiniest bird or frog, up to the size of a large bear,” Larsen said. "We're going to have a large dedicated surgery suite." The elevated lobby will allow zoo-goers unobstructed views of the treatment and operating rooms. "That will give visitors an up-close look at our procedures," Larsen said. "So, we're going to be able to engage with the public in a different way than we ever have before." Design will be led by the Denver office of global architecture, engineering and design firm Stantec. 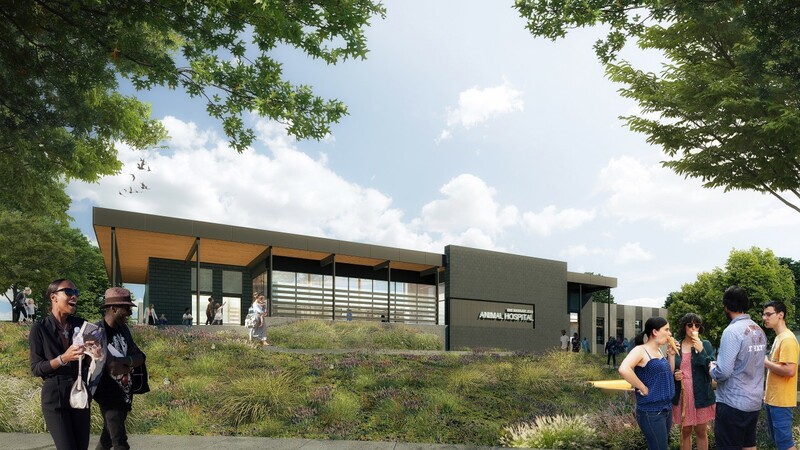 The scheduled completion date is April 2020 and the facility is being funded primarily by the Elevate Denver Bond Program, passed by Denver voters in 2017. "We're really trying to show our public all the other facets of veterinary medicine and how we take care of these animals," Larsen said. 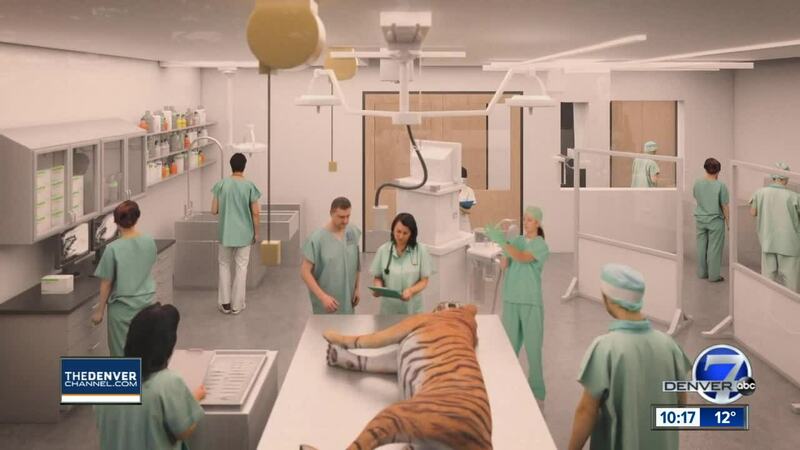 “This new animal hospital will be a testament to the qualities that have defined Denver Zoo for 123 years,” said Denver Zoo president Bert Vescolani. The hospital will house a world-class diagnostic laboratory, indoor and outdoor holding and quarantine spaces and state-of-the art treatment rooms as well as surgery suites. And it will be equipped with the latest technology, including one of the only animal hospital CT scanners in the country.